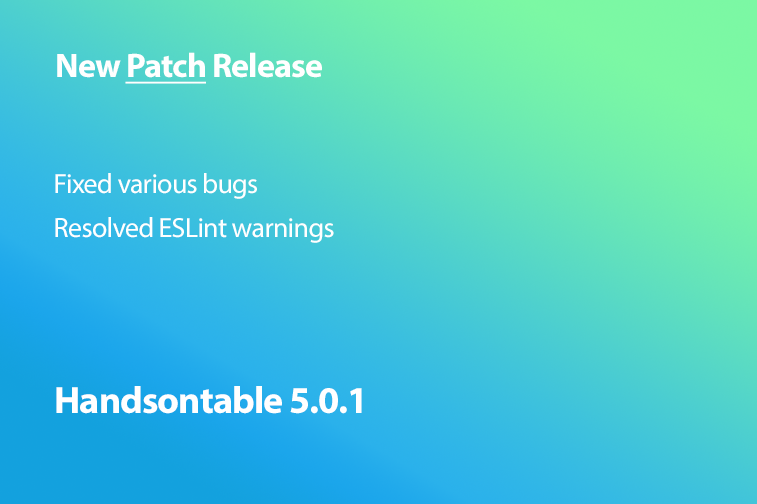 We’re in the middle of peak-season so the timing couldn’t be better for a patch release of Handsontable (5.0.1). It brings some important bug fixes reported by users on GitHub and through our support channels. This version is backward-compatible so bump your version as soon as possible to benefit from these latest changes. Follow us on Twitter to keep up with news and updates. Leave a comment below or write to us if you have any questions.